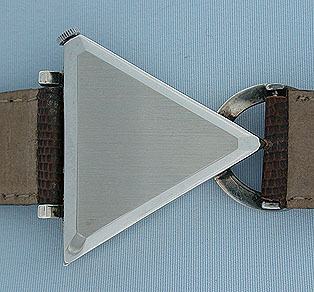 Attractive oversized Masonic automatic vintage wrist watch circa 1970. 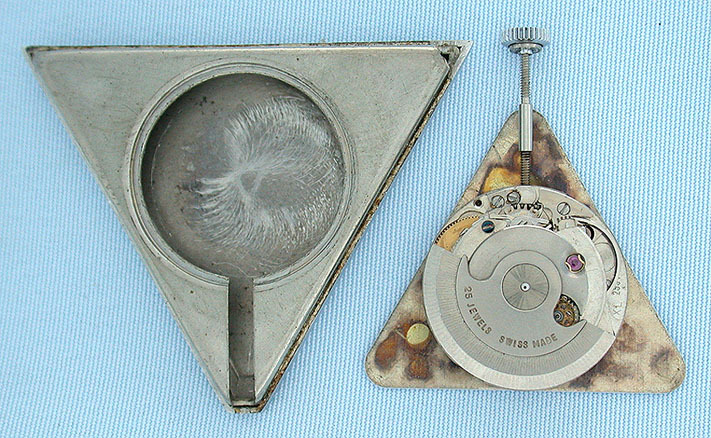 Triangular case with metal top and stainless back. 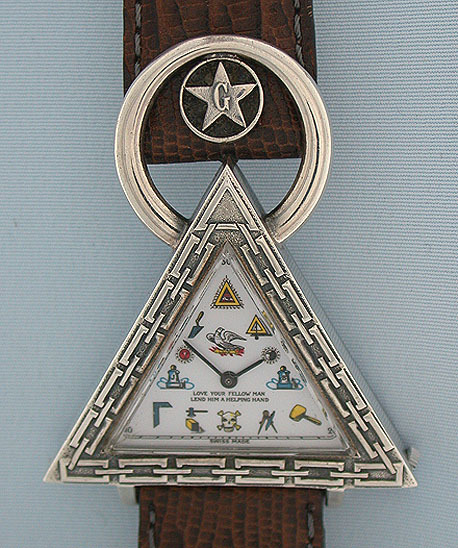 White dial with colorful Masonic symbols in place of numbers. Nickel 25 jewel automatic movement.